While this is a UK case it reminds us of the significant protections now afforded in Ireland in whistleblower cases under the Protected Disclosures Act 2014. What can be considered a protected disclosure by an employee is extremely wide. Employees only need to have a reasonable belief that relevant wrong-doings have occurred. A relevant wrong-doing is also an extremely broad definition and ranges from criminal issues and misuse of public monies through to non-compliance with a legal obligation and more. If the Protected Disclosures Act does apply to a situation then the protections available are extensive. Employees who have been dismissed as a result of making a protected disclosure can be awarded up to 5 years' total remuneration in compensation. All other unfair dismissals attract a maximum award of 2 years. Employees are not required to have the 12 months' service normally required to take an unfair dismissal claim. Employees can also apply for injunctive relief in the Circuit Court to restrain their dismissal pending the full hearing of the matter. The burden of proof on the employer is heavy - it is for the employer to rebut the presumption that a disclosure is protected. 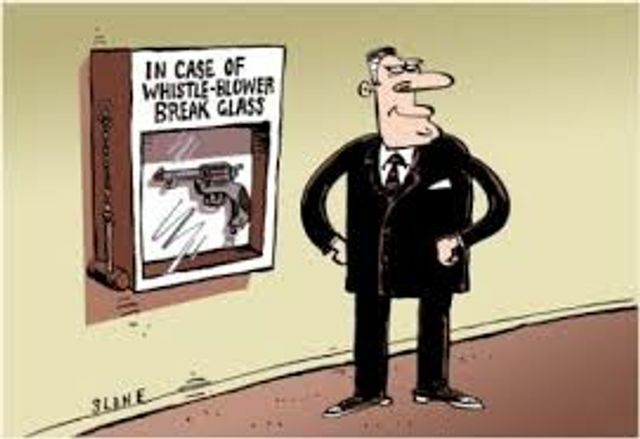 A clear whistle-blowing policy is compulsory for a public sector body and highly recommend for private sector employers. Balfour Beatty has paid £137,000 to a whistleblower who claimed he was “bullied” out of his job. Nigel McArthur, formally a pre-construction manager for the firm in Exmouth, said managers at the company hounded him after he raised concerns about the true cost of an £18.5m building project in Cardiff. He said that the company had overcharged the Welsh Government for the construction work by hiding the real costs. His former employer admitted liability for unfairly dismissing him before the case was due to be heard at employment tribunal.